There was a lot to encourage Nepal, who won a couple of good games and proved that they are a team on the ascendance. If there has been a team that made a statement and benefitted immensely from the tournament despite being on the losing side most of the time, it has been Nepal. Their qualification for the ICC Cricket World Cup Qualifier 2018 was dramatic, and they went one better by the end of the qualifiers by achieving one-day international status through to 2022. Three consecutive defeats in the group stage ended their chances of qualification for the Super Sixes, but a win over Hong Kong in the last Group B game and then victory over Papua New Guinea gave their campaign the desired result even though they signed off with a loss against the Netherlands. The biggest positive for Nepal was the growth of their talented leg-spinner Sandeep Lamichhane. The 17 year old picked up 13 wickets and played a crucial role in both of Nepal's victories. His 3/17 against Hong Kong helped set up a 154-run target, and the 4/29 against PNG skittled the opposition for 114. Lamichhane aside, the bowling didn’t look up to the task on many occasions, while Paras Khadka shored up the batting almost single-handedly much like Lamichhane did the bowling. Against Zimbabwe in the tournament opener, Nepal conceded 380 runs in return for six wickets and slipped to a heavy 116-run defeat. And once the batsmen failed to put up big totals against Scotland and Afghanistan, the runs were knocked off without the bowlers failing to put up a resistance. The inability to plug the flow of runs and get early breakthroughs are concerns, as is the fact that after Khadka, who tallied 231 runs, and the occasional spark from Dipendra Airee, there weren’t too many efforts of note with the bat. Lamichhane was expected to be one of the talking points of the tournament and he delivered, topping the Nepal charts with the ball – 13 wickets from six games with an economy rate of 4.10. 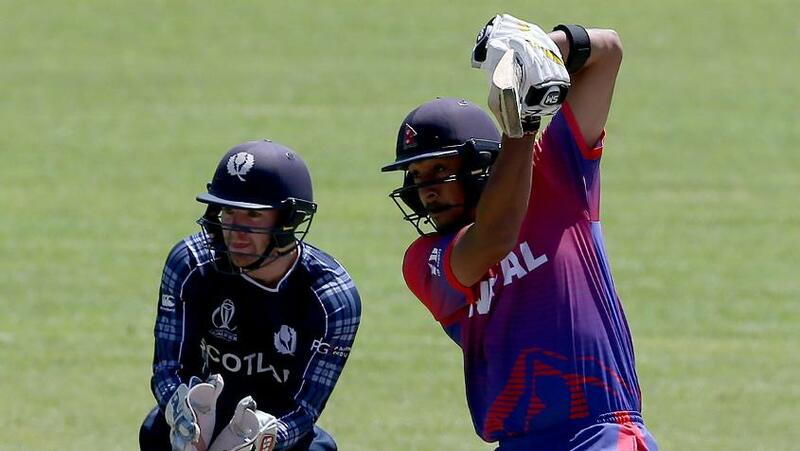 Lamichhane is just 17 and has received praise wherever he has played so far, and on the biggest stage Nepal have been in, he went shoulder to shoulder with his experienced captain Khadka to keep Nepal in the running. Good signs from a very skilful young cricketer.